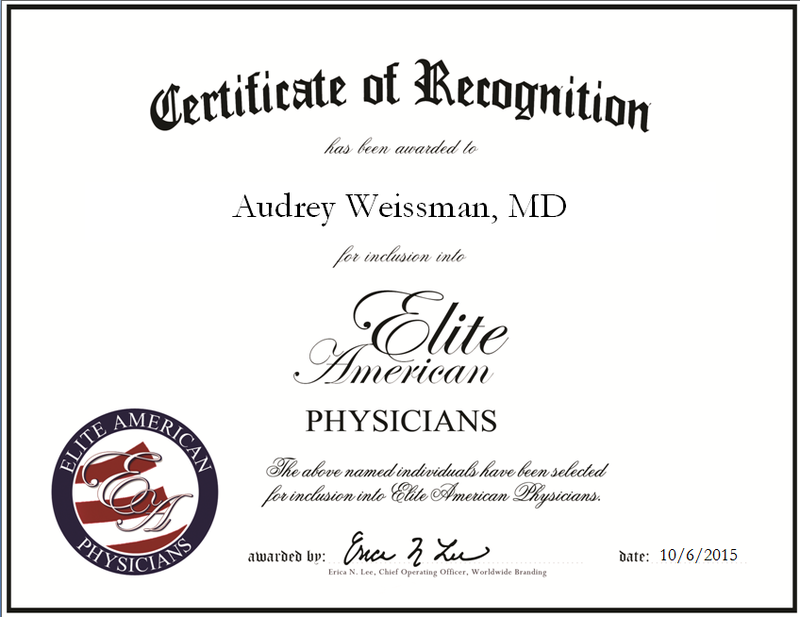 Elmhurst, New York, October 6, 2015, Audrey Weissman, Doctor of Rego Park Medical Associates, has been recognized by Elite American Physicians, for dedication, achievement and leadership in allergy medicine. 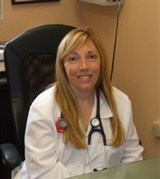 Dr. Weissman has 25 years of experience as a doctor of Rego Park Medical Associates. As a practitioner of internal medicine and allergy medicine, she also has knowledge and experience pertaining to sub-specific pediatric and adult allergy, asthma, immunology and allergic dermatology. Each day, she is responsible for treating patients at her practice. Looking back, Dr. Weissman attributes her success to having practiced for 25 years in the same location, which was founded by her father. The private practice is run by a family of doctors. She became involved in her profession because she was always interested in problem solving, and assisting people with problems and medical related issues. She comes from a long line of physicians in the family. The highlight of Dr. Weissman’s career was that her children, Joshua Weissman-Goodfarb, PA-C and Justin Weissman-Goodfarb (currently attending medical school), are also in the medical profession. Dr. Weissman completed a fellowship at St. Luke’s Roosevelt Hospital and a residency at Robert Wood Johnson University Hospital. She completed her internship at North Shore LIJ Health Systems, and she received her MD from Meharry Medical College. Furthermore, she is certified by the American Board of Internal Medicine and the American Board of Allergy and Immunology. In the future, Dr. Weissman hopes to continue to provide excellent patient care in an approachable setting. This entry was posted in Holistic Medicine, Internal Medicine and tagged Allergic dermatology, Allergy medicine, Asthma, Immunology, internal medicine, pediatric and adult allergy. Bookmark the permalink.